Give your little black dress a rest and embrace a new look with stylish jumpsuits. 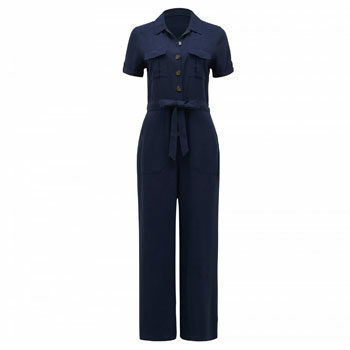 A fabulous jumpsuit is an ideal outfit-in-one – a perfect saviour when you’re stuck in a style rut. Comfortable and stylish, it’s as versatile as a dress but always on point, come rain or shine. 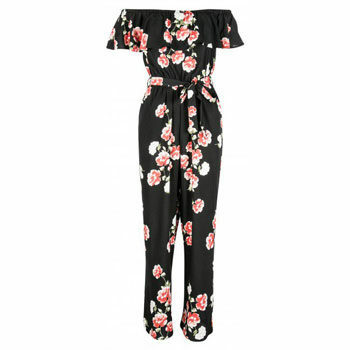 With a jumpsuit there’s no hassle thinking about what pieces to team together, it’s a simple case of slipping on the right heel and picking up some simple accessories, because often, an all-in-one requires little extra detail – it packs a punch on its own. And if its practical virtues weren’t enough, the humble jumpsuit elevates you to a fashion-forward look instantly. Plus, no matter what your figure, there’s a style to suit you, you just have to know where to look. But worry not, we’ve done the hard work for you and found jumpsuits that suit all shapes and sizes. Superbalist is a great place to find stylish jumpsuits. We love this cropped khaki green style with its ruffle sleeve detailing and belted waist. It will flatter just about any figure. Extra points for its versatility – the crop-style means you can wear it with flats and heels! 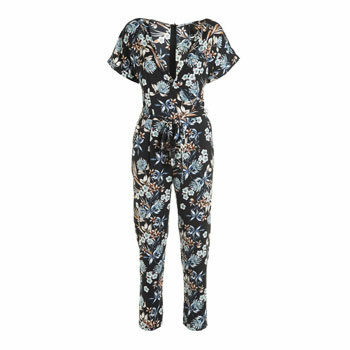 This patterned jumpsuit is perfect for any season. The all-over print is super flattering as it camouflages any areas you are not confident about. It also features kimono sleeves, ideal for arm coverage, and can easily be layered over a lightweight turtleneck. 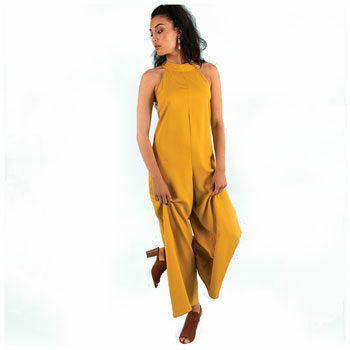 Add some pizzazz to your everyday style with this striking jumpsuit from Poetry. This loose fitting piece will keep all your secrets. Partner with gold heels and accessories for a more polished look. Easy and effortless, this utility jumpsuit is the ideal weekend go-to. 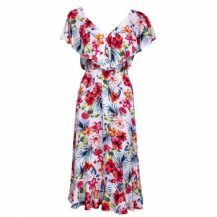 The belted shape is perfect to cinch in your waist and the wide leg will slim you down in seconds. Finish with some chunky block heels for a casual chic look. Take advantage of the last days of summer with this off-the-shoulder piece. 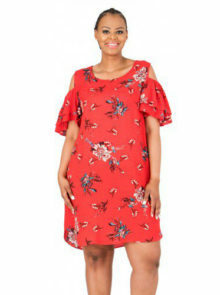 The relaxed fit around the tummy and hips means it’ll be super comfy in warmer weather, plus the off-the-shoulder shows off your décolletage and creates the illusion of a slimmer body. 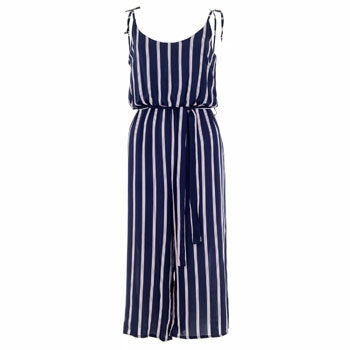 Take note – vertical stripes are the most slimming print you can wear as it cheats the illusion of a more slender frame. This black and white suit from Mr Price means you’ll not only look slimmer, but find it at a bargain too. Compliment your bust and waist with this deep-v stone jumpsuit with an incredibly eye-catching drawstring detail. Style it with some killer heels that takes you to star status. This playful polka dot jumpsuit will balance out your curves because it has all the tricks we love – great sleeves, flare bottoms, defined waist… we can’t get enough. Elevate your look with strappy heels. This check number doesn’t just have to be reserved for summer. 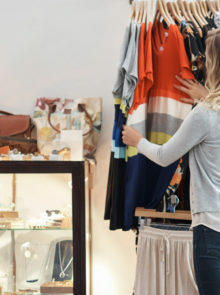 Get extra fashion mileage by layering a shirt underneath for great transitional style. A great wardrobe staple, this burgundy jumpsuit can be worn all year long. The lapel detail makes it ideal for the office or for a special occasion. We say wear now with some animal printed mules and statement earrings. 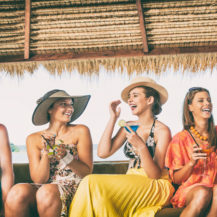 Culottes have made this list more than once for good reason – it’s so versatile and flattering for your bottom-half. If you’re weary that it’ll make you look short, pair it with neutral heels. For a casual take, pair with platform sneakers.